Even a small difference in your mortgage rate can have a significant impact on the total costs of purchasing your home. Although it is up to banks to decide the rate charged on your mortgage, understanding the factors that affect your mortgage rate can help you better prepare when you negotiate your home loan with the lender. We know you want to get the lowest rate possible for your mortgage loan. 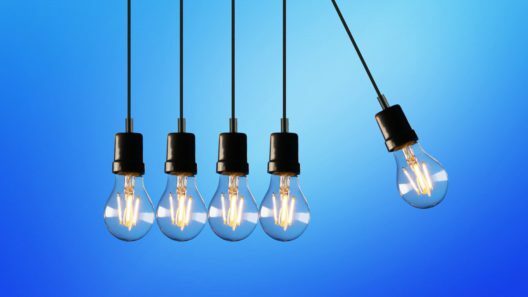 Therefore, we have compiled a list of factors that influence how banks determine mortgage interest rate; these factors can be boiled down to three categories: financing, borrower’s circumstances and capital market conditions. When banks determine the mortgage rate charged on a mortgage, the decision usually hinges on the risk that borrowers might not repay the loan. Therefore, if the down payment is low which requires a higher loan amount and longer loan term, this is considered as risky. As a result, interest rate will also likely be higher. Collateral refers to a property or other assets the borrower provide to the lender if the borrower can no longer repay the loan. In case the borrower can no longer pay off the mortgage, the lender has the right to seize the property and sell it to recover the losses. Thus, loans secured by collateral usually have lower interest rate than those without. Borrowers tend to pay higher interest rate when the mortgage is particularly small or large. The mortgage amount you need to borrow is the property price plus closing costs minus your down payment. 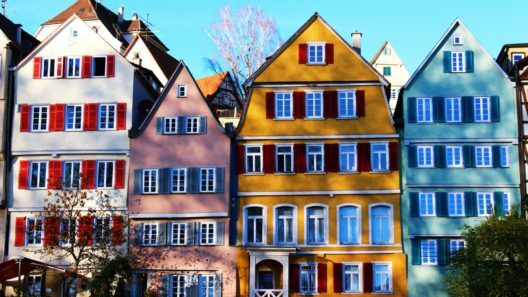 Your residency status and work location may also impact the loan amount you can borrow from German banks. This would also affect your mortgage rate indirectly. You may check how much you can borrow with our mortgage calculator. 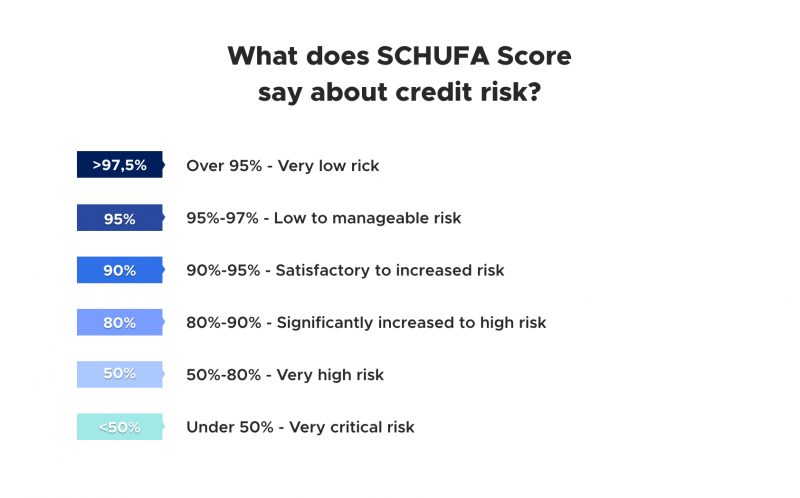 The lenders calculate a credit score (Schufa) through collecting information from various public sources such as commercial registers, public debt directories etc. It indicates the chance with which the loan is reliably repaid. The higher the score, the better the creditworthiness of the debtor. Therefore, interest rate offered by lenders would also be lower. In order to have a high Schufa score, you should ensure you have no unpaid bills and outstanding debt. You should also review your credit reports for errors. However, banks have various ways in assessing and interpreting your Schufa score. Read also: How to Get a Mortgage in Germany? Job security can be a decisive factor in determining the interest rate. Borrowers with a permanent job tend to receive better interest rate than self-employed individuals since their income is less stable. Individuals with limited term contract may also find it difficult to receive a low interest rate mortgage, and some banks might even reject the applicant. 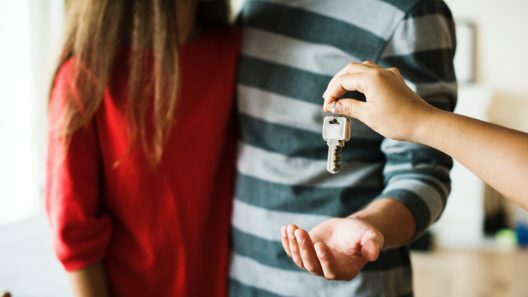 Couples are usually more likely to receive better interest rate, but this only applies when they have good income and make a larger down payment. As mentioned above, lenders see a lower risk when there is a larger down payment and monthly instalment. Older individuals also tend to receive higher interest rates, as banks takes years before retirement into account when calculating risks. For instance, the mortgage rate and monthly repayment amount, in most cases, are significantly higher for individuals 45 years of age than individuals who are 25 years old. The primary factor that affects the interest rate for your home loan is EURIBOR (Euro InterBank Offered Rate). The rate is calculated based on the weighted average interest rates at which major banks lend short-term funds to one another on the interbank market within the Eurozone. The rate is determined by a series of economic factors within the Eurozone, such as growth, inflation, supply and demand. 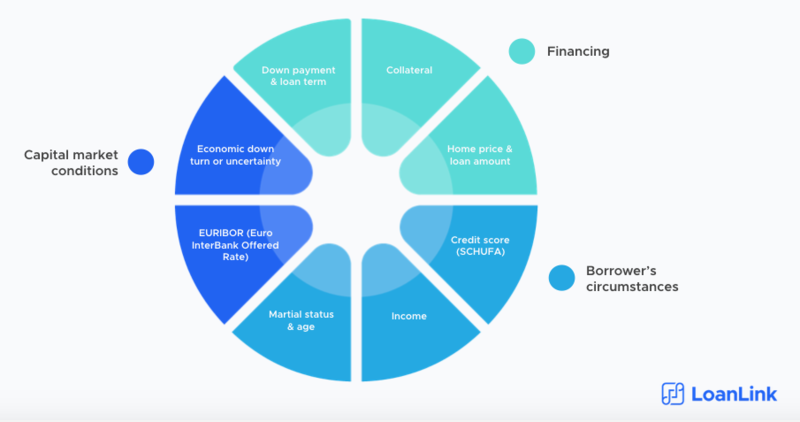 Mortgages and EURIBOR are closely related. Hence, the rises and falls of EURIBOR can strongly influence the interest rate of your mortgage and heavily affects the monthly instalments. Naturally, market performance also plays a role in influencing the interest rate, since it affects the demand for loans. For instance, when there is an economic downturn, banks tend to offer lower interest rate to attract customers to take on a home loan. This would allow customers to get a relatively large mortgage with a lower monthly payment. As you can see, banks use an array of factors to determine the mortgage interest rate. Even though some factors are not within your control, understanding how mortgage interest rate works will ensure that you make your decision in the most financially beneficial way. It is always recommended that you find a reputable and trustworthy mortgage broker to help you navigate the process and get the best possible rate. Got a question about the how to deduct mortgage interest from rental income taxes or the home purchase process in Germany? Contact us!